Don’t look now but that Blue wave advantage is shrinking. Democrats hold an advantage ahead of the 2018 midterm elections, but a Washington Post-ABC News poll shows that edge has narrowed since January. The lead is down to 4 points. Could the LEFT and their dreams of a blue wave have been premature? A funny thing has happened on the way to the midterm elections and even these polls are way too early to predict and possible outcomes. One, the people have seen the good that Trump has done, especially with tax cuts, deregulation, the economy and jobs. 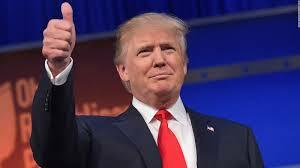 Trump’s poll numbers are rising and so is the GOP’s fate as a result of the good that Trump has done, even though the MSM refuses to acknowledge it. In the 2018 the American people will have the choice of continuing the great policies of job growth, lower taxes and lower unemployment under President Trump or the chaos and far LEFTY insanity of Democrat’s Nancy Pelosi and Chuck Schumer. Even with all the negative news that the Democrat media complex puts forth, where 90% is negative to President Donald Trump, the trend is for the people to vote GOP. Thankfully the networks do not control the media anymore. In the end, the people will get what they deserve. One potentially new factor in the mix of midterm issues is gun policy, which has emerged as a major voter consideration two months after the mass shooting at Marjory Stoneman Douglas High School in Parkland, Florida. More than 4 in 10 registered voters say it is extremely important that candidates share their views on gun issues. 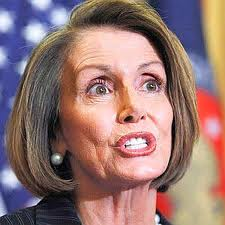 Fewer voters say it’s critical that candidates share their views on Trump or House Minority Leader Nancy Pelosi, D-Calif., leaders who are most likely to be targets in partisan messaging this fall. Republicans owe part of their improved standing to Trump’s thawing job ratings. The Post-ABC poll finds that 40 percent approve of the president, up slightly from 36 percent in January to his highest level of support since last April. Still, Trump continues to face majority disapproval at 56 percent, higher than any president at this stage since the dawn of modern polling, an indication that he remains a significant liability for Republicans on November’s ballot. 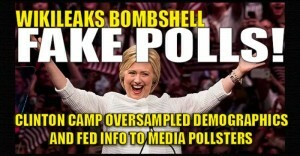 Another day, another buss sh*t poll … From Zero Hedge comes the following outing of the liberal MSM of their bias and contrived polls, even after the media polling was embarrassed in the 2016 presidential election. A current ABC/WAPO poll suggests that Donald Trump is becoming president with the lowest fallibility ratings ever. How is this possible, didn’t he just win an election? Well, when you have a liberal media oversampling Democrats and under-sampling Republicans guess what you get, more BS polls. 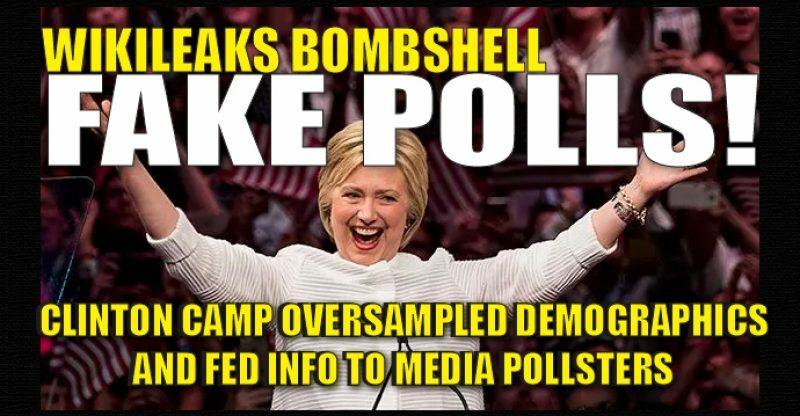 In the month leading up to the election on November 8th, we repeatedly demonstrated how the mainstream media polls from the likes of ABC/Washington Post, CNN and Reuters repeatedly manipulated their poll samples to engineer their desired results, namely a large Hillary Clinton lead (see “New Podesta Email Exposes Playbook For Rigging Polls Through ‘Oversamples’” and “ABC/Wapo Effectively Admit To Poll Tampering As Hillary’s “Lead” Shrinks To 2-Points”). In fact, just 16 days prior to the election an ABC/Wapo poll showed a 12-point lead for Hillary, a result that obviously turned out to be embarrassingly wrong for the pollsters. According to the most recent WAPO-ABC News poll, the race between Donald Trump and Hillary Clinton is a tie. However, there is no honest way that Hillary or her minions can spin these poll numbers in a positive light. She has dropped 12 points in just over a week and trending in the wrong direct with a week to go before the election. Making matters even worse for Hillary Clinton is that once again, the American electorate sees her as untrustworthy. Donald Trump has opened up an eight-point advantage over Clinton on which candidate is more honest and trustworthy, leading 46 to 38 percent among likely voters. 90% of Republicans disapprove of Hillary’s handling of the emails, 67% of Independents and even 29% of Democrats. We shall see how this plays out a week from now. Hillary Clinton and Donald Trump are tied in the new Washington Post-ABC News Tracking Poll which finds Trump now holds an edge on which candidate is honest and trustworthy. A 59 percent majority of likely voters disapprove of Clinton’s handling of questions about her use of personal email while secretary of state. This number, however, is no higher than the 60 percent who disapproved just over one week ago, before the FBI’s announcement Friday that it may examine additional emails after previously closing its investigation in June. Republicans are united in their criticism of Clinton’s handling of questions about her email use while secretary of state, with 90 percent saying they disapprove of her response including 85 percent who disapprove “strongly.” But while Republicans were already very unlikely to consider backing Clinton this year, the issue’s reprisal now threatens her standing with independents and enthusiasm among Democrats. Fully 67 percent of independents in the latest survey disapprove of Clinton’s handling of questions on this issue (56 percent “strongly”), and even 29 percent of Democrats give her negative marks for the way she’s addressed the email issue. Independents and Democrats are where Clinton has lost the most ground to Trump on the question of honesty since early fall. HMMM … COULD THE WIKILEAKS EMAILS, SCANDALS AND HILLARY CORRUPTION FINALLY BE TAKING HOLD WITH THE ELECTORATE? According the the latest WAPO-ABC tracking poll, Hillary Clinton only leads Donald trump by 4 percentage points, 48% to 44%. Just 4 days ago, this poll had Clinton up by 12 as many scratched their heads as to how anything like that could be accurate. However, Trump is now within 4 points and trending upward. Could this be a last minute poll swing with less than two weeks to go before the election? Could the Wikileak emails showing the mountain of Democrat, Team Hilly corruption and the Clinton’s personal financial gain finally be taking hold? Or could it be the horrific Obamacare news of insane premium increases that are moving the polls to Trump, especially with independents? National polls generally do not mean all that much, but they do provide trends to see who the electorate is gravitating to. The Obamacare news is truly damning as the highest rate increases occur in battle ground states, (Ohio: 13.12% increase, Florida: 17.40% increase, Pennsylvania: 32.5% increase, Nevada: 11.74% increase, Maine: 21.24% increase, New Hampshire: 12.44% increase, Virginia: 21.68% increase, North Carolina: 24.30% increase, Iowa: 20.46% increase, Michigan: 16.06% increase, Wisconsin: 20.39% increase). How will that move the needle in the final days? Trump’s growth in support from 38 percent to 44 percent is fueled by shored-up support among Republican-leaning voting groups as well as a significant boost among political independents. Trump has made up ground among whites, particularly those without college degrees and women. Trump now leads by a 30 percentage point margin among white voters without college degrees, up from 20 points from this weekend. White women now tilt toward Trump by 48 to 43 percent after leaning 49 to 43 percent in Clinton’s favor before. From Zero Hedege comes the following report on more information coming from Podesta’s emails. This time it is the Democrat play book on how they rig polls by purposely over-sampling to get the outcome they they want. Imagine that? Just recently an ABC/WAPO poll has Clinton up by 12 points over Trump. Really, who honestly believes any candidate would have a 12 point lead? It happens when you skew polling data and over sample by 9 points. So what is this farce intended to do, depress the voting turnout of course and have people believe that Hillary is so far out ahead, there is no reason to vote. Shameful, simply, corrupt and shameful.